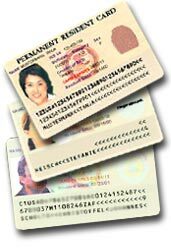 Inspired by the famous American "green card" scheme, the European Commission is considering introducing its own "blue card" system to attract more qualified immigrants. An impact assessment is currently being drawn up and will be ready “in the next two months or so” after which the Commission will draft detailed proposals, EU justice spokesman Friso Ascam Abbing told www.usadiversitylottery.com. He admitted that EU member states hold differing opinions over legal migration but added that "everyone understands immigration will be part of the solution to the aging population. We had better manage immigration properly as it is going to happen anyway," he said. The "blue card" -- taking its name from the EU flag, blue with gold stars -- "would allow holders to move around the EU," EU Immigration Commissioner Franco Frattini said recently. "Today if a multinational wants to move an engineer from a non-EU country from Rome to Brussels, they have to go through visa procedures, get a residency permit, a work permit," explained Frattini, who plans to present a formal proposal on the matter in September. The Commission, the EU’s executive arm, hopes the scheme will aid member states as they seek to remain economically competitive as well as tackle the problems they face from aging populations. The 27-nation European Union trails both the US and Canada, which have a "very active recruitment policy," an EU official close to the issue said. "There is that kind of potential in Africa which could be very useful to the EU." A green, or indeed blue, card scheme would help the EU bring in the best workers from abroad, and target areas where they are particularly needed. According to Brussels, half the immigrants to North America from the Mediterranean, Middle East or north African regions are university graduates. Throughout Europe that figure stands at under 13 percent. While the Commission does not intend to go as far as the United States, where the Green Card endows a permanent status, Frattini stresses that "if it is going to be attractive, there have to be inducements; no language requirements, the possibility of bringing the family over and a reasonably long permission to stay, more than just a year or two. "Many EU nations have been working towards a more selective immigration policy. Britain, for example, plans to introduce a points system this year for selecting immigrants.Last year France adopted a law creating a "competencies and talents" card to attract more qualified people, plus high-level artists and sports people. The details of the initiative remain to be ironed-out, like whether workers be valued according to their pay scales or their qualifications, for example.Whatever the details, overseas workers would not be invited if a vacant post could be filled by an EU citizen or resident. The Commission knows that it is treading a fine line, as the member states have varying needs and are unwilling to hand over national jurisdiction on immigration matters. It’s an area where unanimity among the 27 member states would be required for changes, a fact which suggests several years of discussion lie ahead.Brussels, a major supporter of African development, wants to avoid accusations that is increasing the already considerable African "brain drain." 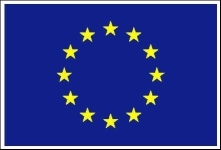 "Developing countries have at least as much need as we do -- to put it mildly -- of their doctors, technicians and nurses," EU Development Commissioner Louis Michel said last year. Qualified workers from sub-Saharan Africa, who make up just 4% of the total active population, constitute over 40 % of those who go overseas, according to World Bank figures for 2005. Under the blue card scheme, EU nations would not recruit from sectors where there is already a lack of staff in the home nation, and key workers would return home after a certain period bringing their acquired experience abroad with them.